A team of biologists and biochemists have successfully sequenced the genome of a green alga called Chromochloris zofingiensis. The single celled organism is one of the most prolific producers of a type of lipids called triacylglycerols, which are used in biofuel production. In a statement, the genome is labelled a ‘goldmine of data’. 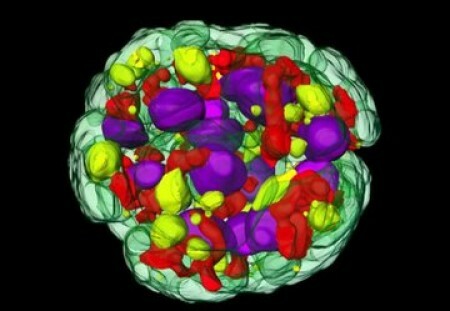 The new insights into the alga could lead to significant advances in the development of algae biofuel. Published in the Proceedings of the National Academy of Sciences, the study was carried out by scientists from University of California – Los Angeles, UC Berkley and UC San Francisco. Sabeeha Merchant, a UCLA professor of biochemistry and co-author of the study, said in a statement that knowing the genome is like having a “dictionary” of the alga’s approximately 15,000 genes. "From there, researchers can learn how to put the 'words' and 'sentences' together, and to target our research on important subsets of genes." Algae absorb carbon dioxide and get their energy from the sunlight, and C.zofingiensis in particular can be cultivated on non-arable land and in wastewater. Co-senior author of the paper Krishna Niyogi from the Department of Energy's Lawrence Berkeley National Laboratory said harnessing the alga as a source for renewable and sustainable biofuels could lead to new ways to produce green energy. The team’s study could also have major implications beyond biofuels. C.zofingiensis produces a substance called astaxanthin, which scientists believe may have benefits for treating a range of diseases, from cancer and obesity to diabetes, cardiovascular and neurodegenerative diseases.